At 3DENTITY, we believe in people and authentic experiences and we strive to foster positive repercussions on our environment. 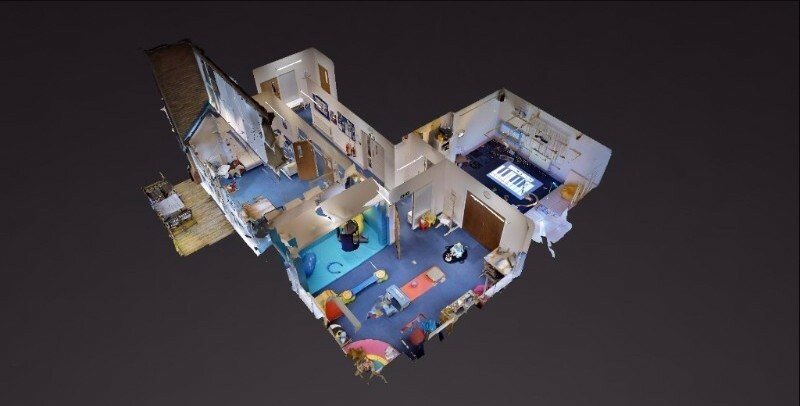 This is why, we’d like to appeal to you to help us support Brainwave Children’s Charity.We created a 3D & VR showcase of their South East Centre in Essex in an effort to make the children and their families feel welcome and at ease by experiencing the environment from the comfort of their home, hopefully taking away some of the initial stress. Brainwave support children with disabilities and additional needs to help them achieve greater independence.The charity’s therapists provide families with a programme of exercises specifically designed to suit the child’s needs; this could be anything from helping them walk or ride a bike, to recognising colours or writing their name. Brainwave support children aged 6 month’s – 12 year’s old who have a range of conditions, including autism,cerebral palsy and Down’s syndrome. A most sincere thank you!